This summer was filled with every emotion imaginable. I am extremely grateful for the moments of joy and peace because those moments helped get us through the rest. By the end, I was completely worn out. Spent. Exhausted. Empty. Ready for a new season. One of the blessings that came out of the hard times is that I really grew in the area of taking it one day at a time. Although I am far from perfecting that, I definitely reached a new level. There were numerous circumstances of which I had no control - and that forced me to surrender each day to the Lord. Tears ran down my face as I continued to free the little bird. When he finally emerged unscathed from his temporary prison, he sat in my hand and looked up at me. It seemed as if time stood still. That little sparrow and I held eye contact while he sat in my hand. What an incredible lesson God taught me through that sweet, little bird. And then the spell was broken and he flew away. I could feel joy and peace flood my heart. Throughout the summer, I revisited that moment many times. When things got hard and I started to worry and doubt, I was able to focus on that touchstone which God so lovingly gave to me! Here are some of the ways that God completely blessed and showered us with his love! 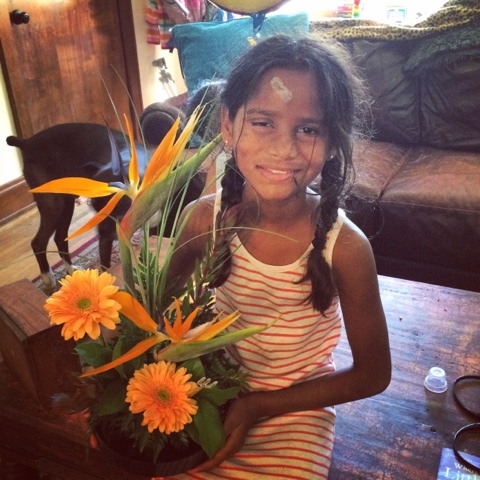 In June, the girls were in a mini-documentary about adoption. This film is being entered into numerous film festivals and will be released in November during National Adoption Month. 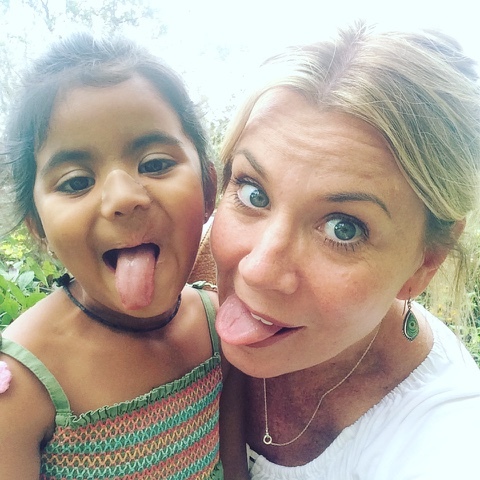 The best part is that the film is being donated to the Cincinnati Children's International Adoption Clinic to help raise awareness about the plight of orphans around the world and the health issues that accompany many of them. You can check out more about the group Found, here. I can't wait to see this at the CIA's fundraiser in November! Also, this year BOTH Munni and Roopa will be in the fashion show! Munni is already planning their outfits lol! One of the biggest factors contributing to my anxiety was trying to figure out childcare for Roopa once I returned to work in August. I found an amazing nanny who loves Jesus and loves my girls. This was a HUGE answer to prayer. 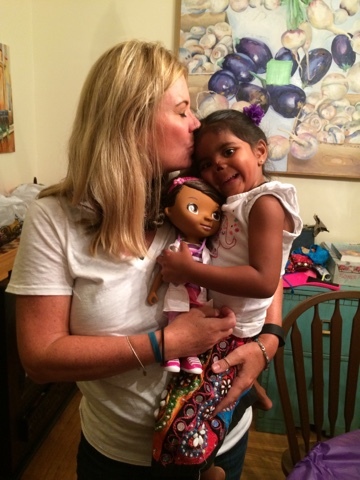 Those mamas who have adopted and haven't had their kiddos home for long, understand all the complexities involved with having to leave your child in the care of another. Our nanny has a beautiful heart and is an incredible blessing to us! 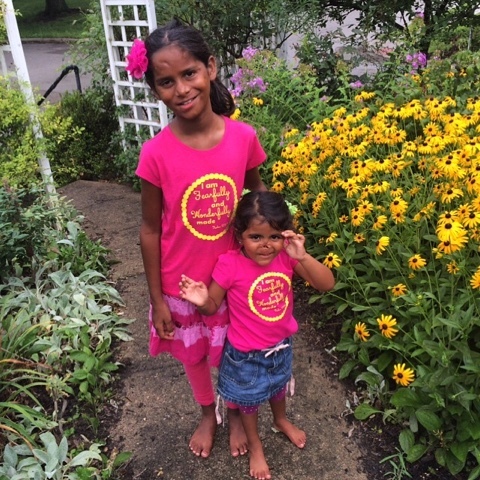 She even bought the girls these adorable shirts! "I am fearfully and wonderfully made!" - AMEN!!! Securing childcare for Roopita relieved a ton of pressure off of me. 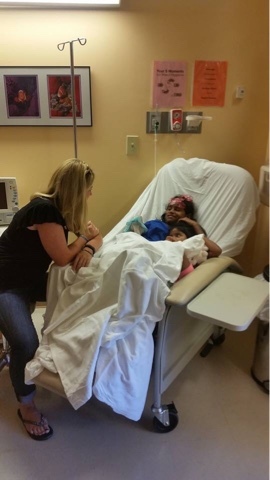 Next, I was able to focus on both of the girls' medical procedures. Due to scheduling conflicts, the procedures were pushed back until August. 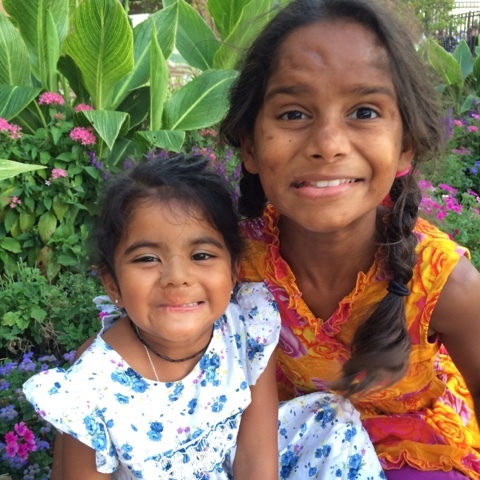 On the 12th, I re-adopted Roopa in the state of Ohio and then immediately after the court hearing, headed to Wisconsin to meet with Greg Gion at The Medical Art Prosthetics Clinics & Anaplastologists. I can not say enough about Dr. Greg! He is an extremely talented, kind, and compassionate man. 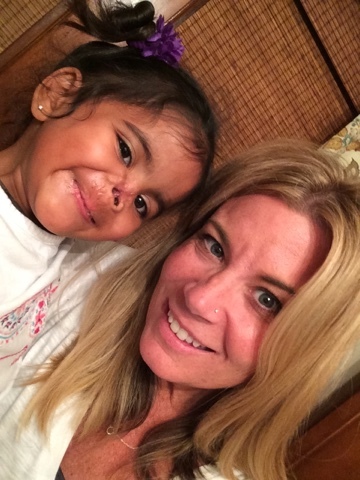 He worked tirelessly for two days, crafting the cutest, little, prosthetic nose for Roopa! It's an incredibly complex process and I learned so much from it! We are truly blessed to have been able to work with him! 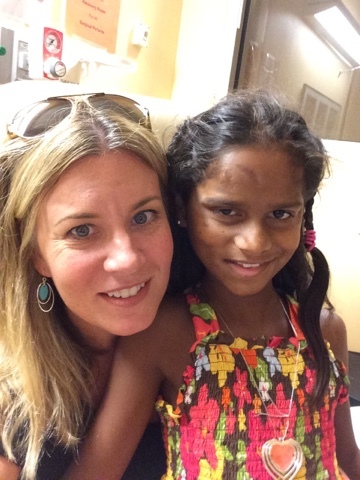 Roopa with her new prosthetic nose! Roopa is seriously nonstop comedy! I will never be able to express my eternal gratitude to Dr. Jon Mendelsohn. There aren't enough words to describe his compassion and kindness. This procedure was unlike anything I would have ever anticipated because of the emotional triggers and flashbacks. Even the nurses were crying and had to take turns leaving the room to wipe their eyes. His professionalism coupled with his empathy was beyond anything I have ever experienced. Blessed doesn't even describe how fortunate we are to be able to work with him. My thankfulness runs deeper than words and to know that he is committed to my daughters' physical and emotional healing is a priceless gift! Some wonderful friends dropped by with some "cheer you ups"
Dr. Jon knew her nickname is Munni Bird. This just shows his thoughtfulness sending her Birds of Paradise! 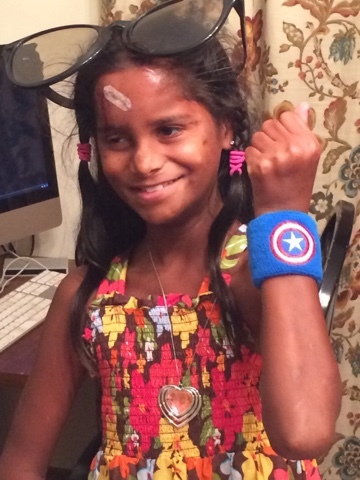 The wristbands were a big hit in the healing process! I made this collage to show the immediate differences. 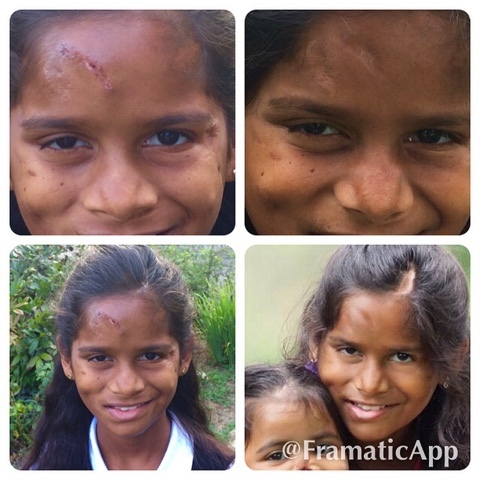 She still has several more procedures to go, but with each day it looks better and better! 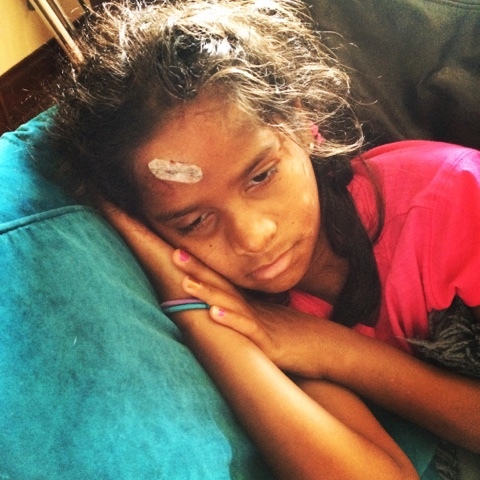 Roopa has been struggling a bit with me returning to school. It's a juggling act meeting everyone's needs and making sure I get some alone time with each of my girls. We were able to spend quite some time at a dear friend's pool. 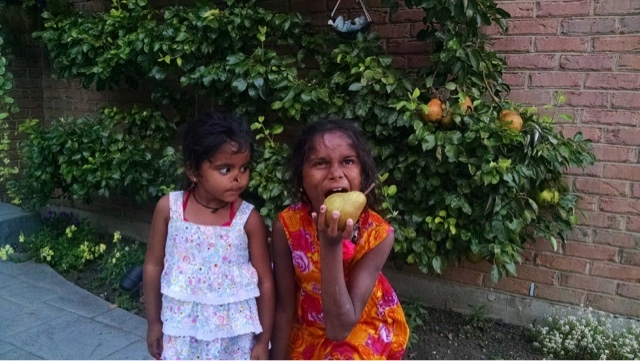 Much to Munni's delight, they also have a pear tree. On Labor day, she was finally able to pick a pear! Everything about this picture makes me laugh! 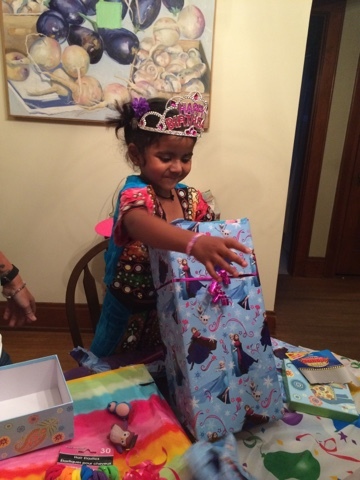 September 11th is Roopa's "Happy Birthday" as she likes to call it :) For the past month, she has been talking about turning 4. 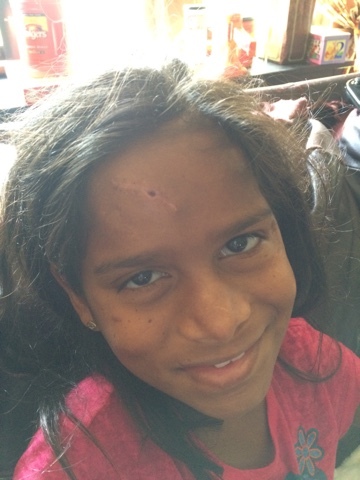 I got a very pleasant surprise email from her orphanage. They sent her an ecard birthday wish and said they have pictures from her first birthday. They are still trying to find them but the fact that they remembered her birthday and sent a card, I know that she is greatly missed and was loved deeply. 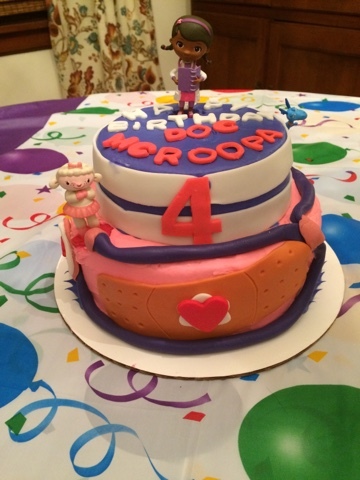 Shortly after I was matched with Roopa, Munni and I celebrated her 2nd birthday. We thought FOR SURE we would be celebrating her 3rd together as a family. Instead, we celebrated another birthday without her home. 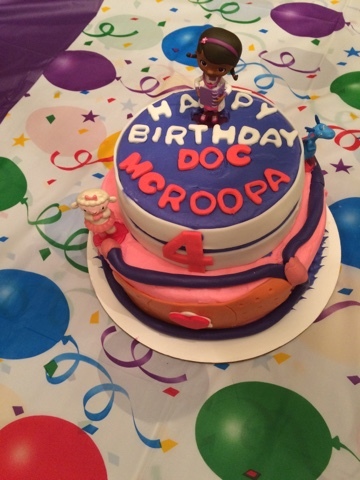 FINALLY, we got to celebrate Roopita's 4th birthday!! She loves, loves, loves Doc McStuffins. One of my very good friends makes cakes for fun. I asked her if she would make a cake for Roopa's first birthday celebration with us and thankfully, she agreed! I was blown away when I saw the finished product!!! And not only did it look amazing but it was delicious!!! THANK YOU CATIE!!!!!! I mean, how adorable is this cake??!! 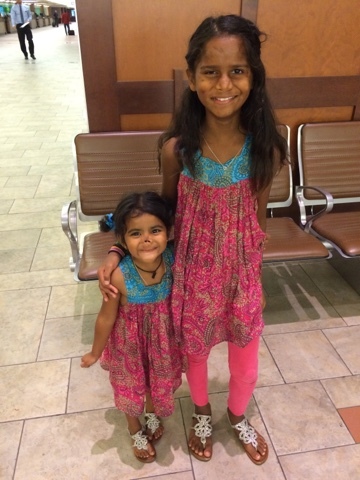 When we were in India, we were gifted all of these beautiful, traditional Bhuj dresses! 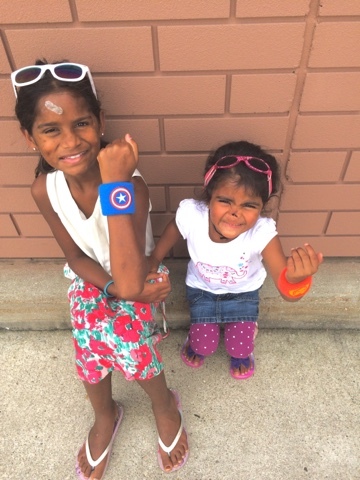 These two had been planning for weeks which ones they would wear for Roopa's big celebration! Even though the rain forced us out of the original park plans and back home, Roopa had no trouble digging right in and opening her gifts! 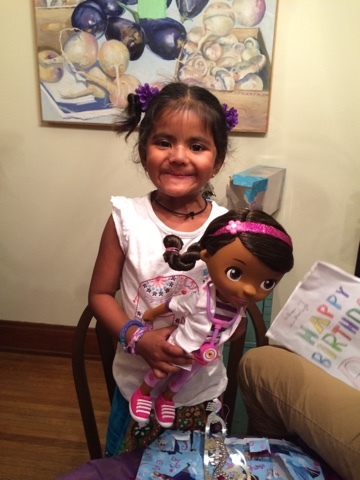 She was so happy to get Doc McStuffins! This whole summer I have spent hours reflecting on God and his goodness. One day I was having a philosophical discussion with a friend and it struck me that one of God's greatest gifts to us is hope. Where would we be without it? 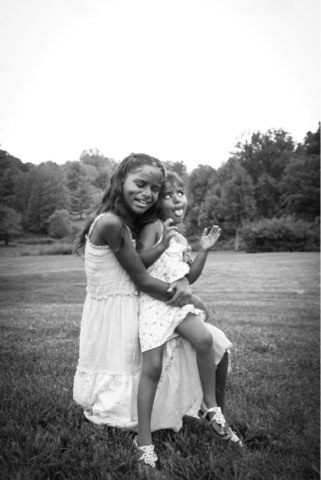 I look at my girls and that theme resonates so completely in both of their lives. Each day is a new day - filled with hope and promise! Hope leads to redemption and redemption leads to love. For without love, there would be no redemption. 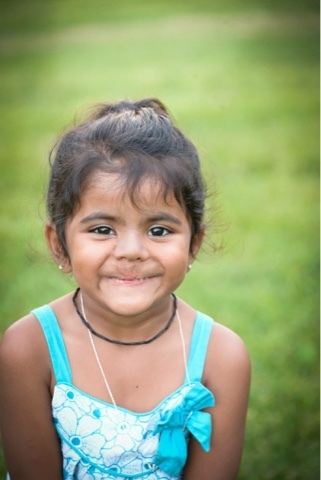 When I see Roopa and the joy that fills her little heart, I get a lump in my throat. I think back to May of 2013 when God gave me the vision for the Spread More Love t-shirts. I didn't know about Roopa yet, but God did. And I can't think of a more appropriate quote that describes Roopa. Everywhere this little girl goes, she puts a smile on stranger's faces. She brightens days and brings happiness and laughter to others. In the essence of her being, Roopa Joy spreads more love. Thank you for sharing. Your girls are so beautiful and it's so encouraging to see how God is knitting your family together and bringing healing. What a kind reminder in the sparrow! I love how God reaches us personally. God bless. Thank you for the update! 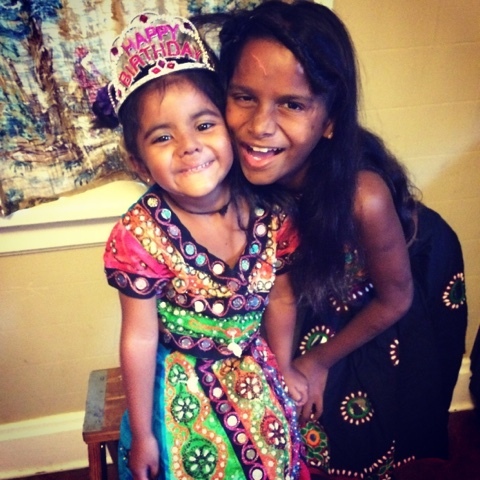 Your daughters are beautiful, and the way you tell their stories is sensitive and inspiring. I love to see how they are growing and changing. 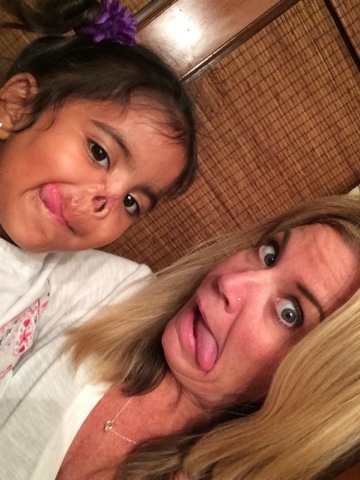 I'm also a single adoptive mama of special needs treasures. You can't imagine how much I enjoy following your blog. I'm praying for your journey as you all grow closer to each other as well as to the One who created each of you. Blessings to you! Hope you and your girls are doing well. I'm a single mom to two boys with special needs. Both adopted when they were 5. My oldest just turned 20 and younger son is 16. The hardest part has been their emotional issues from early trauma. The so called "SN" has been relatively easy. Wishing you and your girls the best. I have found Heather Forbes and her approach to parenting hurt kids to be very helpful in helping my sons to heal. Hope all is well with you and your girls.